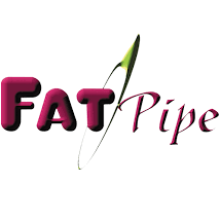 FatPipe® Networks, the inventor of software-defined networks (SD-WAN) for wide area connectivity and hybrid WANs, today announced the general availability of FatPipe SD-WAN for Azure through the Microsoft Azure Marketplace. FatPipe SD-WAN for Azure, an SD-WAN Virtual Machine, enables Microsoft Azure customers who use Office 365 and other cloud-based applications to get a better experience by overcoming the need to reconnect every so often when the sessions break. This is especially important for customers and offices where large groups have to use Office 365 or other cloud-hosted applications, or when a single line connection to Azure is not adequate to address line drop issues. FatPipe SD-WAN for Azure is built around FatPipe patented MPSec™ technology. FatPipe’s MPSec technology provides the highest possible WAN transmission security, providing an order of magnitude above standard encryption, for multinational corporations, embassies and government agencies that want to use cloud applications but worry about security and compromised ISPs. FatPipe’s MPSec tunnels are encrypted with FatPipe cryptographic module with its FIPS 140-2 certified by NIST.